Are you suffering from unnecessary pain? Are you unable to keep active? Is your well being affected by restricted mobility? We have helped many hundreds of patients get back to their best with our proven methods of treatment. Now located in the heart of Exeter, we have brought together a team of practitioners at our new site, who are dedicated to enhancing your health. We believe finding the right treatment for you along with excellent after care advice, will enable us to offer you the best possible solution for keeping you mobile, active and healthy! We are pleased to offer a variety of treatments at Magdalen Health, for more information on each one please click on one of the links below. Book in for your massage treatment with Faye now to receive 15% off! It’s quick and easy, why not book an appointment online with one of our practitioners today! More than 40 years of combined experience dealing with back pain, neck pain, trapped nerves and other types of injury. 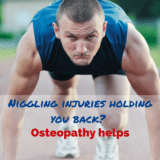 Osteopathy is recommended for back pain by the ‘NICE’ guidelines, the committee that advises the NHS. 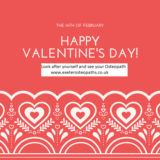 Osteopathy, Cranial Osteopathy, Acupuncture and Massage treatments all under one roof. 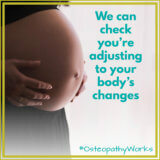 All of our friendly and knowledgeable practitioners are highly trained, fully registered and insured. Stretching and strengthening exercise programs available, tailor made to help speed your recovery. Appointments available 6 days a week including some evenings and Saturday mornings. Free parking at our central location in Exeter. GP referral isn’t necessary, although many do refer to us. Finally most of our patients come to us through word of mouth referrals, check out our testimonials! For more information and advice, please see our recent news stories below. PLANNING ON BOOKING IN WITH ONE OF OUR SPECIALISTS?